Having difficulty disciplining employees at work? If you’re a startup and don’t have the luxury of an HR team, it can be quite a hassle managing employee issues. 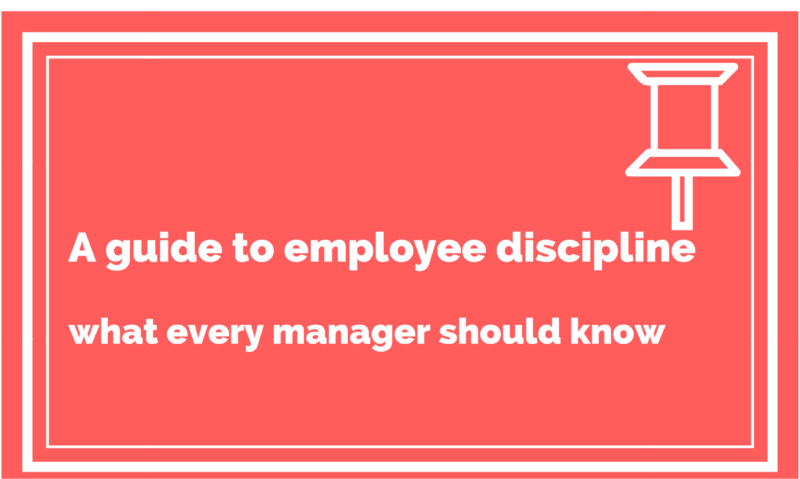 But worry not, we’ve covered some essential employee discipline procedures in this short guide for entrepreneurs who are starting out and need help managing their employees. Time: Do you have a flexible working culture or do you expect your employees to be on the dot? What do you hold as a priority? Productivity, punctuality or both? Dress Code: This is not particularly important these days, but if you don’t want your employees to show up in their shorts and slippers, it’s necessary to mention this. Behavior: Are you OK with abusive language in the workplace? Do you endorse argumentative behavior? If not, again, this is where you need to draw the line. Harassment: How stern is your organization on sexual harassment? Do you fire employees or do you give them a second chance? Work Ethics: Some companies cross ethical boundaries because profitability is what matters most to them. What matters most to you? Do you support lies, shortcuts, deceptive schemes, etc., to convince a customer? Illegal Practices: Drugs, alcohol, pot - are these allowed? If not, you should have strict rules that clearly state your stance on these practices. Of course, these factors are just the tip of the iceberg and unless you are an HR expert, you may have difficulty compiling these rules into an employee handbook. You could hire someone to do it or you could spend a good amount of time to dig deep into your company culture and decide what you want to allow or disallow. The important point to note is the clearer your company rules, the fewer the chances of having to deal with ugly incidents. Verbal Warning: For employees with a sense of dignity a verbal warning is often enough. This is usually employed as a light disciplinary action where the employee is reminded of his duties and of the rules that he has been breaking. Written Warning: If a verbal warning does not suffice, a written warning is the next step to take. The written version will highlight the problems clearly and the consequences of each violation against the policy. The written warning does not constitute a firing but it does clearly indicate that strict action could be taken against the employee. Usually this method is effective enough to bring even the most wayward employee back on track. Probation: This disciplinary action is used for underperforming employees. They don’t face verbal or written warnings as they do not violate any policy. However, their underperformance is marked during their monthly performance reviews and chances are given to improve their score. The probation period is usually for a month or three depending upon the policy of the company. At the end of the probation, if the employee shows some sign of improvement, they get to keep the job. Termination: When all else fails, a notice of termination is given and usually the employee is forced to leave the company within the specified time period. Most companies veil a termination under a resignation by asking the employee to resign from the post rather than being fired. In order to carry out these disciplinary actions, it is of utmost importance for your company to have a clearly defined policy, a handbook of company terms and conditions that the employee has signed and of course a clear understanding of the legalities. The more detailed and precise your policies, the easier to handle employee issues. You can’t always control your employees and in a place where people of multiple talents work together, problems are bound to arise. However, it is always up to the management or supervisor to ensure that conflicts do not get out of hand. Here are a few things you could do to prevent a crisis. While it is tempting to be reactive, it is much better to be proactive. They missed a deadline? They made a blunder? Relax. Mistakes happen. Before you walk out the door to yell at them or dismiss them, take some time to think matters through. Is the employee a good performer? Have they always done excellent work but made an unintentional mistake this time? Or are they chronically careless and irresponsible. Based on your evaluation, the first step you need to do is talk to the employee. If they are good performers, communicate the problem and find the solution. If they have a bad history and have not shown any improvement, dismissal is the last resort. Seeing problems arising because of gossips or office politics? Curb it in the bud. Office politics cause tension, friction, and demotivation when they get out of hand. You need to be very vigilant about your workplace and make sure that it doesn’t inadvertently become a toxic work environment. This is where employee morale goes down and people begin to violate policies and exhibit negative behavior. Most employers believe that just because they pay an employee good wages, they own them. With this mindset, it is only natural for thousands of employees to quit their job, underperform or violate policies. You need to build up your employees, improve their skill set, and make them a valuable part of your team. When you build trust and morale, you build loyalty and positive behavior. In today’s rapidly dynamic business world, you can’t afford to be a controlling or threatening boss anymore. New age bosses need to be firm yet understanding, kind yet determined, rewarding yet meticulous. In short, you need to be an effective leader instead of an effective manager to ensure that your employees are happy with what they have. Oh yes. If you smoke pot, do drugs, come in drunk or use abusive language, you promote the culture. You promote what you specifically are against in your handbook and this is not going to turn out good for you. Remember, rules and regulations are an important part of any organization - small or large. Whether you’re a five-member team or a fifty or a five-hundred team, you need to incorporate policies and the consequences of violating policies. You are responsible for the success and failures of your own firm.